With so many great restaurants and cafés to choose from it can be a little tricky knowing where to get a quality breakfast in Perth, however there are some fantastic places that are well worth the effort. 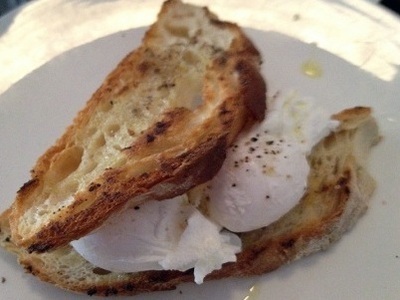 One of the best spots for breakfast in Perth would have to be Sayers in Leederville. The menu is varied and includes things such as Spicy Italian Sausage with Scrambled Egg, Wilted Spinach and Toasted Ciabatta Bread for $19.50, Banana & Chocolate Bread with Maple Butter for $8.00 and Breakfast Bruschetta with Fried Eggs, Fresh Tomato and Prosciutto for $19.50. Serving breakfast from 7am, 7 days a week, this place is definitely worth a visit. Of course you can always go to McDonalds, or Hungry Jacks, for a quick, inexpensive and tasty breakfast. 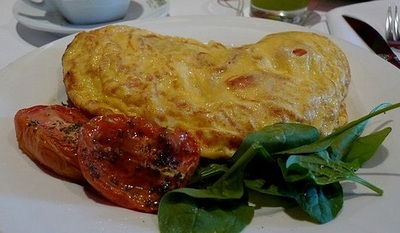 The ever popular Sizzler offers an all-you-can-eat breakfast buffet from 7.30am on Sunday mornings. The Atrium Garden Restaurant at the Esplanade Hotel , has a choice of Continental or English Buffet Breakfast 7 days a week. Miss Maud's Restaurant, does a huge breakfast smorgasbord, and Pancakes at Carillon has a choice of yummy breakfast pancakes. The Secret Garden Café in South Perth and Cioccolato Espresso Café in Applecross both serve all day breakfast from 7.30am and The Dizzy Witch Café in Northbridge, serves breakfast daily between 7am and 3.30pm so you have plenty of time to get into one of these popular cafés and enjoy a laid-back breakfast with family or friends. 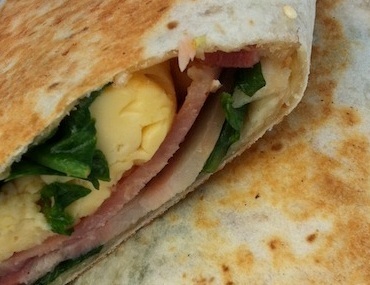 Yelo Café by the beach in Trigg serves healthy, fresh breakfast wraps, Bacon and Egg or Egg and Mushroom ($11.00 each) are their breakfast specialty. Open 7 days a week from 6.30am you can text your order in and they will have it ready and waiting for you to pick up. 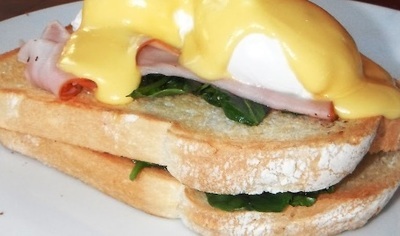 The Witches Cauldron in Subiaco does a splendid A La Carte breakfast with lots of options. They have the usual Bacon and Eggs on Toast ($16.70), Full Breakfast ($23.50) and Eggs Benedict ($18.40) but they also have some different dishes such as Savoury Mince with Poached Eggs ($15.40), Macadamia and buttermilk pancakes ($16.50) or Raspberry & white chocolate pancakes ($16.50) both served with maple syrup & fresh berries, Grilled field mushrooms on rye with blue cheese, spinach, balsamic & roasted pine nuts ($18.10) or French Toast Brioche with apple and maple syrup and fresh berries ($15.80). The menu is varied, the food good, and the servings are generous, what more could you ask for? Walter's River Café in Bicton is very popular, the breakfast menu is varied and you get a great view of the river as a bonus. Servings such things a Bruschetta with Roasted Roma Tomatoes, basil, feta and avocado for $14.00, Big Breakfast for $23.00 or Eggs Florentine for $16.00, there is something on the menu to suit everyone. Daily Planet Café in Mt Lawley serves an all-day breakfast, their menu has a good mix of the usual breakfast foods and a few dishes that area bit different. You might like to try the House Smoked Salmon with bubble and squeak, poached eggs and hollandaise sauce at $16.50 or the Mex Eggs - scrambled eggs with green pepper and tomato salsa, smoked bacon, corn relish, sour cream and jalapeños wrapped in a tortilla at $15.50. Crumpet in East Victoria Park, Toast in East Perth are a couple of little cafes that offer all-day breakfast with some top-notch choices. Whether you want to grab a quick breakfast on the go or you have time to sit, relax and enjoy the most important meal of the day, why not give check out some of these places – you'll be glad you did. These places are no match for: Mrs S (Maylands); Typika Cafe (Claremont) & Tuck Shop in Northbridge....you haven't lived till you've been to these places!